Milwaukee Bucks fans have seen their team done in by some of the greatest opposing players in NBA history… included in that group would be Hall of Famers Larry Bird, Michael Jordan and Isiah Thomas. You could also add future Hall of Famers LeBron James, Jason Kidd and Russell Westbrook to that list. But what about Nikola Jokic? Would that be a name that rings fear in hearts of the Bucks faithful? What, you might ask, does Jokic have in common with the other six “legends” noted above? With 30 points, 15 rebounds and 17 assists in Denver’s 134-123 win over the Bucks on February 15, Jokic had his third career triple-double against the Bucks. The only opposing players to have as many triple-doubles (regular season and playoffs) against the Bucks as Jokic are Jason Kidd, Russell Westbrook and Larry Bird. Following are the 10 opposing players who have had two or more triple-doubles against the Bucks. 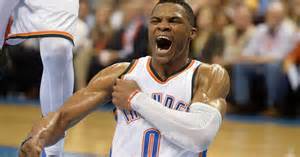 Will Russell Westbrook finish this season with 2,000 shot attempts? Russell Westbrook is the favorite to win the NBA’s MVP Award this season. He is averaging a triple-double this season (31.8 points per game to go along with 10.7 rebounds and 10.4 assists per contest). He could become only the second player (since Oscar Robertson) to average a triple-double in a season, and could overtake the Big “O” for most triple-doubles in a season. Here’s another stat about Westbrook: With four games remaining, Westbrook has attempted 1,874 shots, or about 24 per game. He would need to fire up 116 shots in his final four contests to become the 11th player in NBA history to attempt 2,000 or more shots in a regular season. He’s on a pace for 1,970, so he’ll have to take closer to 30 shots per game in those last four games to reach 2,000. The last player to attempt 2,000 shots in an NBA season was Kobe Bryant in 2005-06. He took 2,173 shots that year. There have been 21 seasons where a player took 2,000 shots. That was accomplished by 10 players (Westbrook could become the 11th player). Wilt Chamberlain had the most 2,000-shot seasons with six. Elvin Hayes is next on the list with three campaigns. With 1,874 shots this season, Westbrook became the 42nd different player to reach 1,750 shots in a season (it has happened 90 times in the history of the NBA). Michael Jordan did it 10 times to top the list, followed by Wilt with seven, Kareem Abdu-Jabbar, Elgin Baylor, Alex English and Dominique Wilkins with five such seasons, and Elvin Hayes and Allen Iverson with four seasons each with 1,750 shot attempts. Of the 90 occasions/seasons when a player attempted 1,750 shots, Westbrook’s .426 field goal percentage ranks as the 11th lowest of the 90. Kobe Bryant is also the last player to reach 1,750 shots in a season; he did it in 2006-07. It doesn’t look like any other player this season with join Westbrook in the 1,750-shot club; New Orleans’ Anthony Davis has taken the second most shots this year with 1,499 and DeMar DeRozan follows with 1,498. Nine other players this year have attempted 1,400 or more shots this season. The most players to reach 1,750 shot attempts in an NBA season is seven. That was done twice… in 1962 and 1973. 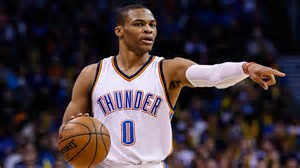 On March 7, Oklahoma City Thunder guard Russell Westbrook tallied 58 points in a 126-121 loss to the Portland Trailblazers. It was the 10th time this season that a player scored 50 or more points in a game; it was Westbrook’s second time this season and third in his career. With his third career 50-point game, Westbrook became the 29th player since 1963-64 to have three or more career 50-point games. Here’s a look at the Top 10 for most career 50-point games since 1963. With the Thunder losing the game where Westbrook scored 58, it was the second time in his career that Westbrook’s team lost when he scored 50+. He became the 14th player since 1963 to score 50 or more points in two or more games where his team lost. Jordan tops this list with eight games where his team lost when he scored 50 or more points. Others who saw their teams lose two or more games when they scored 50+ points: Kobe and Wilt (7), Iverson (5), Bernard King (4), Bob McAdoo and Dominique Wilkins (3), and Jabbar, Tiny Archibald, Adrian Dantley, LeBron, Hakeem Olajuwon, Michael Redd and Westbrook, each with two. Since the 1964 playoffs, teams that had a player score 50 or more points in a game have won 22 games and lost 5. Of those 27 games, Jordan, again, tops the list. He had eight 50-point games in the playoffs. Iverson is second with three playoff games, followed by Jerry West with two. Of the five losses, Jordan had two of them, with Ray Allen, Kobe and Billy Cunningham each scoring 50 or more points in a playoff games were their team lost. When Kevin Durant decided to take his formidable skills to the Golden State Warriors, it didn’t take a genius to figure out that Russell Westbrook would be the focal point of the Oklahoma City Thunder team (and its offense). As the 2016-17 NBA season pushes past the first quarter mark, Westbrook is certainly carrying the Thunder. He is averaging 31 points and 11.3 assists per game, good enough for second place in both stats categories in the league. Only two players in NBA history have averaged 30 or more points and 10 or more assists per game for a season: Tiny Archibald was the last to do it in the 1972-73 season when he tallied 34 points per game with 11.4 assists for Kansas City-Omaha. Prior to that, Oscar Robertson did it five times… in 1961-62, 1963-64, 1964-65, 1965-66 and 1966-67. Houston’s James Harden is averaging 28.3 points per game and 11.8 assists per contest, leading the league in assists and placing him fourth in scoring. 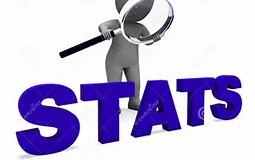 If we look at the players who have averaged 25 points per games and 10 assists per game in a season, Archibald and Robertson make the list with their 30-10 seasons. In addition, Westbrook would join the group if he stays on pace, as would Harden. The only other player who has reached 25-10 in a season is Michael Adams. In the 1990-91 season with the Denver Nuggets, Adams averaged 26.5 points per game and 10.5 assist per game.